The Lizard-Watching Guide did me right by pointing out this definitely out-of-the-way locale for observing these hard-to-find lizards. Four wheel drive is strongly recommended, though I didn't know that in advance. I saw five or six of these sand speeders, but only the first one let me get anywhere near close enough for a photo. 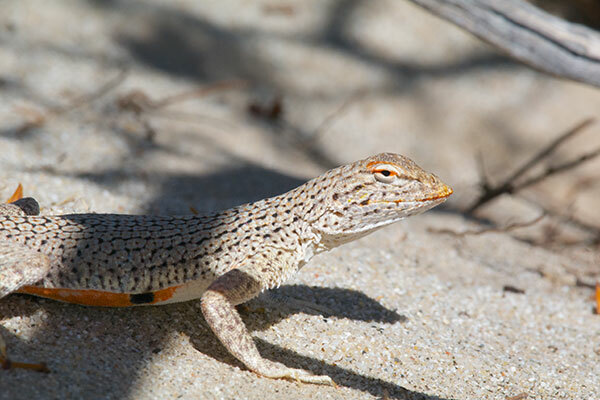 Seen from a distance as they race across the sand, these lizards are extremely hard to tell apart from both zebra-tailed lizards and desert iguanas, both of which are also plentiful in the area. 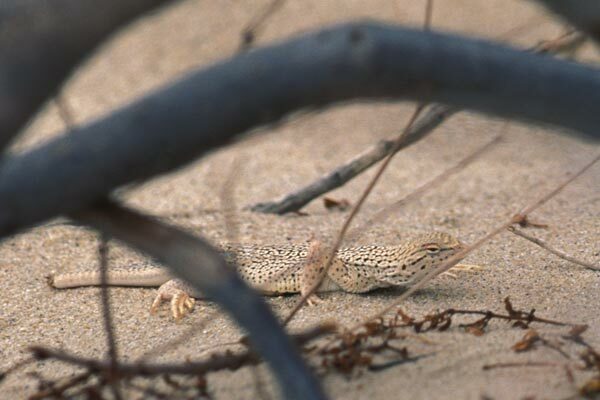 These lizards are not especially hard to find in the right habitat, but they can be very hard to approach. They tend to hang out in the open, posing beautifully, until the moment before you see them. 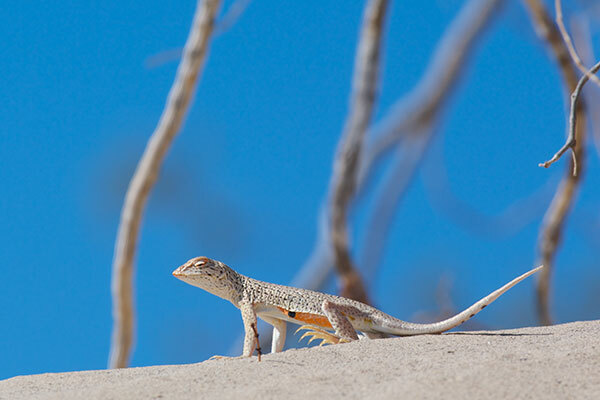 At that precise moment they race off into the nearest creosote or mesquite bush, where they skulk about partly hidden by scraggly vegetation. I managed to slowly sneak up reasonably close to this first one before it did its racing off. You can see the scraggly vegetation that makes for poor photography in the second picture here.